WCI Communities is the best location in Florida for your new home. 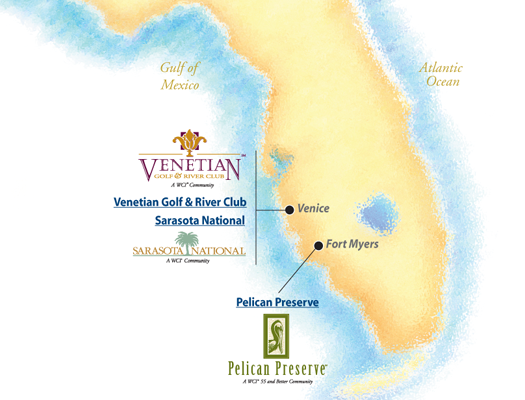 residents enjoy our luxury communities & condominiums in Florida’s best coastal locations including Tampa, Bradenton, Venice, Fort Myers, Bonita Springs, Naples, and Parkland. Our private communities have stunning visual landscapes, nature preserves as well as exceptional country clubs and lifestyle amenities. 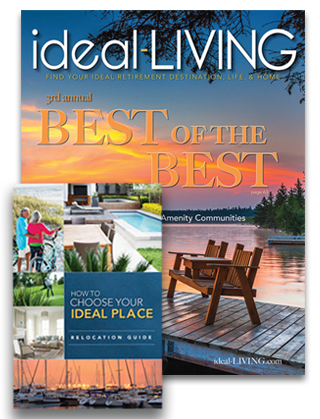 These retirement communities are about smart design, exceptional value and personalized service. Founded in 1995, WCI Communities, Inc. has developed master-planned communities that house more than 150,000 people throughout Florida today. With guiding principles of innovation and leadership, WCI creates more than just homes. They create communities and lifestyles for their homeowners. Golf anyone? Whether you are an avid golfer or new to the sport, you’ll appreciate the rewards and challenges of the 27-hole championship golf course. Golfers can also tee up for some downtime in the 24,485-square-foot Golf Clubhouse with its own private spa, fitness center, full-service dining and spacious pro shop.